Its strategic plan for 2015-2017 includes the recent installation of two gear-making machines, one gear hobbing machine and a gear cutter-shaping machine. Grindel Gears will give a greater added value to their facilities by means of their 2015-2017 strategic plan which includes their upcoming investment of 1.4 million euros, a figure which could reach 2.5 million euros by the end of the period. The Basque company, which specializes in the production of top-quality gears and spline shafts, has installed two gear machines to meet the increasing demand of their clients. One of these machines is a Gleason Pfauter CNC Gear Shaping Machine P600/800 ES, with an electronic helical guide for cutting interior and exterior spur and helical gears with a pinion-type cutter without the need for mechanical guides. With the column's automatic tilt of +-6º the manufacture of cone-toothed and beveloid gears is facilitated, to name but a few possibilities. 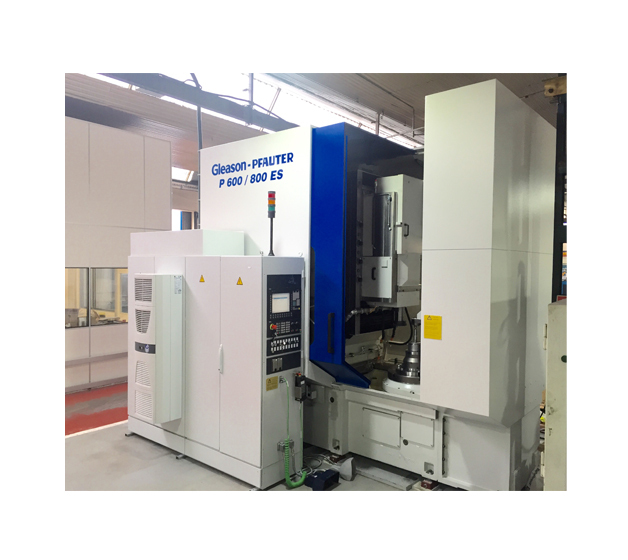 The second piece of equipment that will be operating is a Gleason Pfauter CNC Gear Hobbing Machine P400. These expenditures are complemented by the recent installation of software specialized in gears in order to meet the needs of their clients, as well as a focus on Business Intelligence tools, all with the aim of improving the management of data use and analysis processes. Another axis of their strategic plan for 2017 is the addition of new markets by means of new agents, increasing their positioning over 15 countries that already have a certain level of sales, thus boosting their international presence. As a first step, Grindel has already brought in new agents in USA, France, Germany and Scandinavian countries with the aim of increasing their export quota which currently stands at 65% of their production. At the same time, it is gaining ever-more in-depth knowledge about advanced management concepts as a medium through which to increase its competitiveness, as well as launching the continuous improvement project, Kaizen. Its ultimate objective is the optimization of coordination between different processes and departments in order to increase the organization's communication and the level of people's participation in different areas of the business. Grindel Gears has among its assets over 45 years of experience in the manufacture of cylindrical gears and spline shafts with grinding quality in single, small and medium batches, adapting these to the needs of the client according to the drawings or samples submitted. It manufactures and provides advice on its products with grinding quality for sectors and applications as diverse as cranes and hoists, mechanical transmissions for all types of special vehicles, pumps and compressors, liquid separators, all types of engines, robotics and machine tools. It also has ISO 9001:2000 Quality Certificates and ISO 140001 Environmental Certificates endorsing its commitment to the environment.